Efficient and safe cleaning is a crucial prerequisite for the manufacture of drug products or medical devices. The appropriate selection and control of cleaning agents (solvents, detergents and sanitizers) is an essential part of the entire cleaning process. This Standard Operating Procedure (SOP) provides clear and structured guidance on how to evaluate and classify cleaning agents to ensure there is no interaction with drug products and manufacturing equipment. 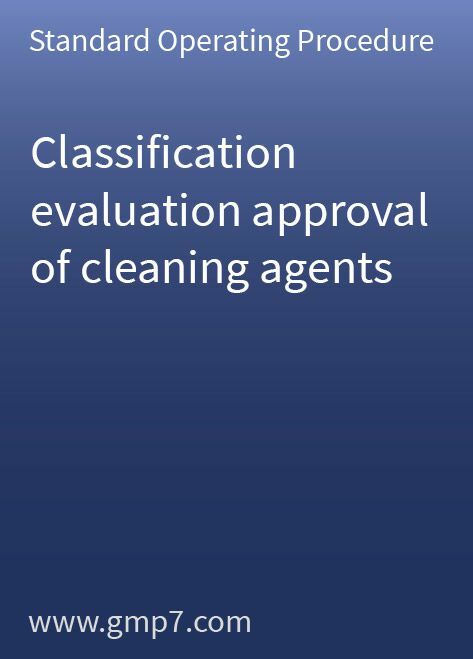 This Standard Operating Procedure (SOP) contains a 10-page process description with 3 attachments where you can list your cleaning agents. It is ready to use and only needs a small amount site-specific modification before it can be implemented in your operations.